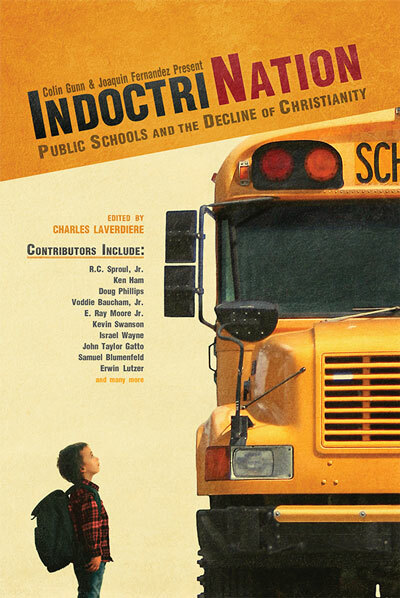 IndoctriNation is the companion book to the groundbreaking documentary film of the same name. Homeschool parents continually face questions regarding our decisions to educate our children at home, but rarely are parents on the "other side" confronted with similar queries. Public school is the "norm," and any other choice is often looked upon as being weird. This book turns the tables and squarely challenges the choice to public school. As a former public school teacher, I found IndoctriNation to be brutally honest; hopefully, it will be a wake-up call that something is dreadfully wrong with our schools. "If you place your children in public school, within a few years, you will find a division growing between you and them. Will you tell yourself that this separation is normal and that it is just part of your children growing up? Do you really believe hatred between parents and children is normal? In reality, this too is part of the public school agenda. Parents are replaced as their children's mentors by the teachers and school counselors who teach that they are the ones who truly understand your children. After all, from a very young age children are taught in school that their parents just don't understand them or today's world" (p. 22-23). IndoctriNation should really be required reading for any parent even considering public school as an educational option. Rather than defending our homeschooling choice, I believe this book will go a long way toward equipping parents, opening their eyes to the truth, and making a better future for our children.The ugly truths I witnessed first hand as a teacher are real, and I appreciate the honesty with which the authors of IndoctriNation have presented similar situations. See what other Master Books reviewers said about this book at the NLPG Blog link up.